Over thirty years ago, a small band of people began an intentional community called Findhorn. They lived by applying principles of attracting to oneself, through love, whatever materials, energy, or help were needed to promote wholeness or further growth. David Spangler, who was one of those early residents of Findhorn, began writing down how those laws worked. In 1975, his writings were first published as The Laws of Manifestation. This long-unavailable book is now available again with a new introduction by the author. 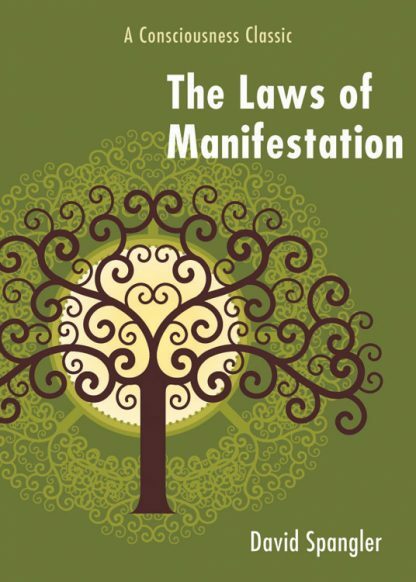 Spangler shows how we can all transform our lives by working with these natural laws. In clear and lucid prose, he recounts the history of manifestation and how to grow in spiritual riches (the most important of all) in a step-by-step guide to enlightenment. While other experts in this suddenly burgeoning field tend toward applying manifesting energy toward real estate, money, and myriad materials, Spangler looks at the basis of what he describes as a change of form, or state, or condition of being, NOT creating something out of nothing. This is what manifestation is: the working of natural laws of energy exchange and transference within a consciousness of the Whole and through an attunement to the Presence of Wholeness... It is a dynamic state of consciousness. On human levels, manifestation does not replace working for a living, it is simply a different way of expressing the livingness of the work and the work of living where work is truly seen as "Love in Action". Since returning to the United States from Findhorn in the early seventies, David Spangler has continued to travel and lecture widely. He has developed and taught classes at a number of institutions, including the University of Wisconsin, Seattle University, and the California Institute of Integral Studies. He also teaches classes for the Lorian Association for Incarnational Spirituality.